Yesterday I took the Zend Certified PHP Engineer Certification exam. It was my first time taking a certification exam, and I didn’t really know what to expect. Even though I’ve been writing PHP for a few years and feel pretty comfortable with a lot of the language features and syntax, the study guide review questions were a bit tricky, and even after weeks of review I wasn’t feeling super confident. I took the exam at one of the approved Pearson Vue exam centers. It is a timed exam – you just sit at a computer and answer a bunch of questions. When I submitted the exam, the results were displayed right away. I passed. No additional details. They just let you know if you pass or fail. But yep, I’m now listed in the Zend Certified Engineer directory! 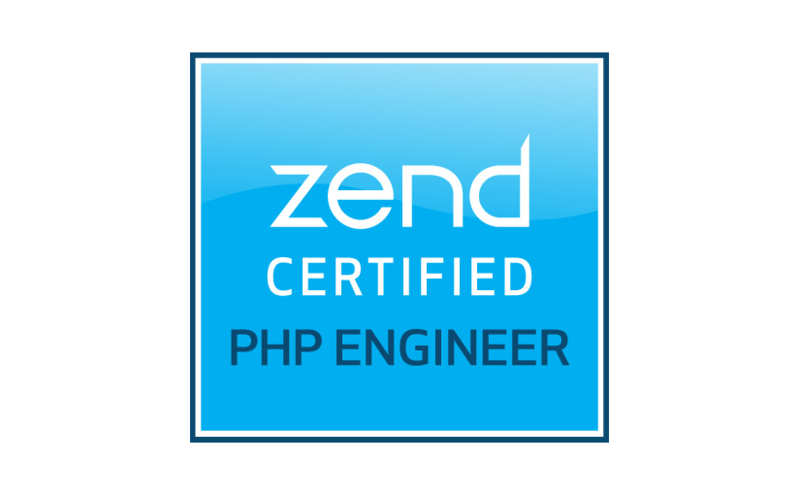 I am super excited to be considered a Zend Certified PHP Engineer. I love PHP and really enjoy learning more and more about the language every day. However, I do think the exam itself was a bit contrived in that a lot of the questions seemed like they were designed to be purposefully tricky or clever in bizarre ways that you would never really find in day-to-day code. While reviewing for the exam, I put together a repo of syntax I had never seen before, odd behavior, interesting functions and some basics that don’t hurt to revisit every once in a while. Feel free to check it out on Github.